Casing pipe for a well system that has corroded at the surface. As aging infrastructure across the United States reaches the end of its design lifespan, the detrimental consequences of corrosion have become more and more apparent across all sectors of industry. Water wells across the United States are no different. Countless systems are faced with the same corrosion challenges which not only threaten our safety and pocketbook, but also threaten our daily quality of life. These current challenges now require a multifaceted collaborative effort between scientists, manufacturers, and operators encompassing not only advanced construction and time-proven design practices, but also better maintenance efforts, increased awareness, and implementing improved technology for extending the life of these valuable assets. A commonly used definition for corrosion is: the deterioration of a material, usually metal, or its properties in reaction with its environment. In the water well environment, there are two basic types of corrosion: electrochemical and mechanical. Electrochemical corrosion is based on a chemical reaction occurring at the metal surface with the transference of electrons between atoms. Electrochemical corrosion comes in many forms such as galvanic, microbial influenced, crevice, pitting, etc. 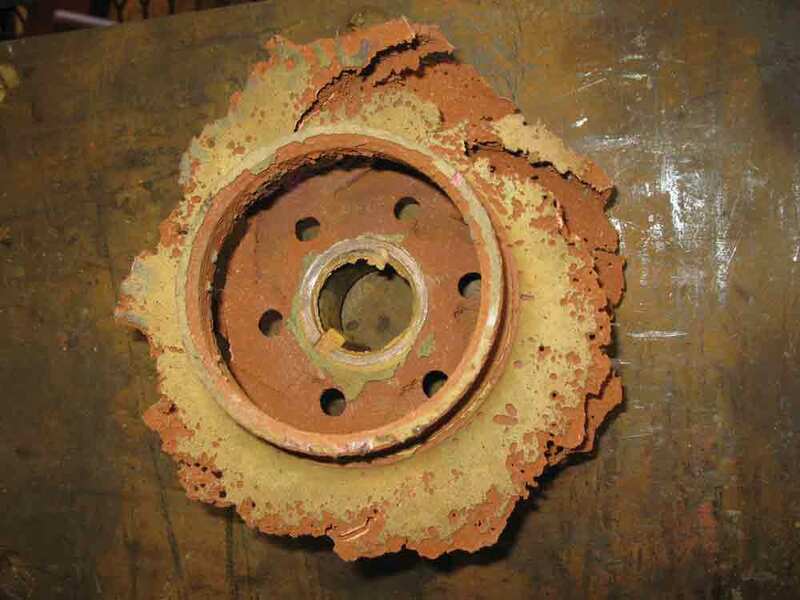 Mechanical corrosion is a more physical process like erosion corrosion, the direct physical degradation of the metal due to interaction with solids present in the water, such as in a sand pumping well. Metals that do not occur naturally in their purely metallic state (gold, silver, copper) are inherently chemically unstable and desire to revert to their unadulterated natural state when exposed to their environments. This process can take place in a number of different forms. However, the mechanism of attack in aqueous environments requires some aspect of electrochemistry (or flow of electricity) or is due to the chemical properties of the water itself. The water well environment, which exposes various metallic components to very capable electrolytes (soil and water) with a multitude of dynamic chemical properties, is especially conducive to this scenario. The U.S. Geological Survey conducted a study in 2016 as part of the National Water-Quality Assessment project. The study was designed to assess the potential corrosivity of untreated groundwater in the United States through the collection of data from approximately 27,000 groundwater sites. The USGS determined potentially corrosive groundwater occurs in all 50 states during this research. In the study, a combined index using two indicators of potential corrosivity—the Langelier Saturation Index (LSI) and the Potential to Promote Galvanic Corrosion (PPGC)—classified all but six states as having a very high, high, or moderate prevalence of corrosive groundwater conditions. These findings, as well as a renewed interest in source water conditions following recent lead contamination outbreaks, indicate the problems associated with corrosion are likely to be greater than previously understood, and as such, woefully under-addressed in previous and current design standards (Belitz 2016). General corrosion: The most common form of corrosion is a broad attack occurring uniformly over a surface. Typically, this form of corrosion results from an electrochemical process occurring on a surface due to minor variances in composition or orientation of the substrate. Although this uniform form of attack can result in potentially large amounts of metal weight loss, it is generally the easiest form of corrosion to identify, measure, and guard against. which oxidation occurs and electrons are produced) and tends to corrode faster. The arrangement of metals in accordance to their corrosion potential is called the Galvanic Series and can be used to judge the likelihood of galvanic corrosion between two different metals in contact with each other in a solution. Column pipe that is heavily corroded. differentiation in potentials between two areas. The depletion of oxygen within crevices or under deposits can result from corrosion reactions, bacterial metabolic reactions, or other reactions that consume oxygen. Surfaces in contact with higher concentrations of dissolved oxygen will become cathodic (the electrode of an electrochemical cell at which reduction is the principal reaction and electrons flow towards) to areas in contact with lower concentrations of dissolved oxygen. Microbially influenced corrosion: MIC is corrosion directly caused or promoted by microorganisms. The diversity of microbes found within soils and groundwater is extensive and consequently there are a number of ways in which these organisms can influence corrosion rates. Some bacteria are directly responsible for the corrosion process while others enhance other corrosion processes taking place. For the sake of simplification, bacteria can basically be categorized into three problematic groups: slime formers, iron oxidizers, and anaerobic. A pump component that is showing heavy erosion. Erosion corrosion: This frequently occurs when the velocity of a fluid is sufficient to remove protective films and physically deteriorate the metal surface it is contacting. High solids content, the suspension of formation materials within water, as well as increased flow velocities can each accelerate erosion corrosion rates. Pump bowls, impellers, and screen openings are all areas in which accelerated flow can enhance erosion corrosion. Additionally, areas of plugging in the screen zone or improper placement of the pump can result in increased entrance velocities, accelerating erosion corrosion rates. Stray current corrosion: Stray currents most often result in localized pitting or general attack, although they can lead to other forms of corrosion. While alternating currents (AC) can produce corrosive conditions, problems are most commonly associated with direct currents (DC). Sources of stray currents include welding operations, impressed-current cathodic protection, overhead power lines, and in some cases naturally occurring telluric effects associated with the Earth’s magnetic fields. A study initiated by the National Association of Corrosion Engineers International and mandated by the U.S. Congress found the total direct cost of corrosion for drinking water and sewer systems in the United States is $36 billion annually (Koch 2002). Impacts on water systems include degraded water quality, increased maintenance, and shortened operational lifespans to name a few. Downhole corrosion can lead to loss of structural integrity, and ultimately, the loss of production. 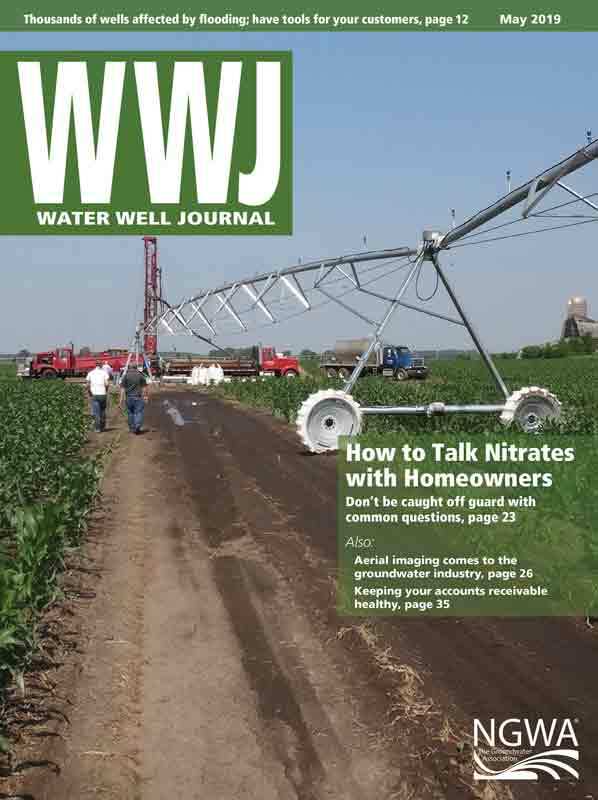 A common response to many of the corrosion-related side effects found in wells seems to be the implementation of a filter or other removal systems at the surface. While such systems can be useful in improving the finished product, they fail to address the problem at its source and can often become costly endeavors when the corrosion processes become more pronounced over time as they continue to go unchecked. Due to the extensive nature of corrosion, no single area within a well is less susceptible to the damages brought on by these forces than another. But armed with knowledge of the different forms of corrosion influencing groundwater wells, potential threats can be identified based on the properties of a water and the design and construction of a well. Water quality: Specific areas of water quality can contribute to corrosion, including metal degradation. This degradation can cause enlargement of screen slots resulting in sand pumping or a compromise in structural strength leading to well failure. The presence of high chlorides can prevent the formation of protective films on the metal surfaces and the strong chloride ion can cause metal pitting. The pH value of water can also influence corrosion as it is the concentration of hydrogen ions present. The abundance of these positive ions can impact the electrochemical corrosion process. This low pH issue can be compounded by the presence of dissolved gases in the aquifer water such as hydrogen sulfide or carbon dioxide that can produce the acid condition and related corrosion problems. Materials: As noted, the presence of dissimilar metals in the well construction can provide the components for galvanic corrosion. The farther separated the metals are in the galvanic series, the stronger the potential for corrosion damage to the structure through the loss of metal ions at the anodic site. This destructive process can also occur with dissimilar construction components such as welding materials. Geological influences: Geologic formation materials in the subsurface can contribute to corrosivity through the water-rock relationship. This relationship can create low pH, acidic waters or high-chloride, brackish waters that can contribute to corrosion and the resulting degradation of the well system. Some of these water-rock reactions can produce dissolved gases that also impact the corrosion potential of the environment. Compounding the complexity of the corrosion issue is the variation exhibited between aquifers, often even within the same regional areas (state). These characteristics must be incorporated into rules and regulations to allow for adequate design changes to offset the variations that exist. Bacteria: As previously mentioned, bacteria can play a variety of roles in corrosion of water wells. One of the primary players to be aware of are iron-oxidizing bacteria, which actually pit metals to secure the necessary iron they require for their own metabolic processes. These bacteria are naturally occurring, can be found in a variety of aquatic environments, and are known to migrate beyond the well system, fouling transmission lines and filter systems. Not surprisingly, these organisms are often found within problem wells with some occurrence rates estimated between 40%-50% of all troubled well systems (Schnieders 2002). Another mechanism through which bacteria can cause corrosion is through the formation of biofilms, a natural expression of bacteria resulting from the extrusion of a slimy polysaccharide exopolymer. Bacteria exude this slime to attach themselves to a surface for propagation, nutrient capture, and growth. The formation of bacterial colonies and entrapment of other minerals and debris within biofilm deposits can form concentration cells, causing and enhancing galvanic corrosion in virtually all areas of a well system. such as sulfate-reducing bacteria (SRBs) which create hydrogen sulfide gases, pose additional threats. Such gases, enzymes, mineral or organic acids, or other compounds produced by bacteria can drastically influence the chemical balance of water within the well and cause aggressive conditions toward corrosion. These bacteria are typically found in the lower regions of the well where low-flow, anoxic conditions typically occur or in the lower strata of more advanced and thickened biofilms. Corrosion is so prevalent and takes so many forms that its occurrence can’t be eliminated completely. However, it has been estimated 25%-30% of annual corrosion costs in the United States could be saved if optimum corrosion management practices were employed (Koch 2012). In response to the extreme costs brought on by problems associated with corrosion, a number of products and technologies have been developed to help protect against, or at least slow down, the various corrosion processes which threaten well systems. Perhaps the most influential preventive measure one can take to help prevent corrosion is to select the proper materials to begin with. Whether it’s in the design phase or in replacement during maintenance operations, choosing the proper materials to withstand the corrosion forces present is critical in extending the lifespan of a well system. Of course, a number of factors must also be considered when it comes to materials selection, including cost, design features, physical properties required, and compliance with regulations. Steel remains the most commonly used material for well construction. However, the quality of steel, its physical properties, and corrosion resistance can vary greatly based on the distribution and concentration of interstitial alloying elements in it. On an elemental level, it’s the concentration of iron and carbon and their substitution with other elements such as chromium, nickel, copper, and molybdenum that improve corrosion resistance and give it other advantageous characteristics. As iron is replaced with these different alloys, we generally see an increase in strength, corrosion resistance, and ultimately effective lifespan. However, these added benefits come at a cost. Generally, stainless steel runs about 12%-25% higher in cost than its low-carbon steel counterparts. 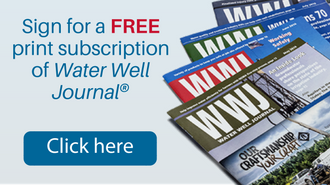 A cost comparison analysis is a helpful tool in determining if the capital costs upfront are paid off over the extended lifespan of the well from using better materials. of benefits with regards to installation, price, and corrosion protection. They are often manufactured with coupling systems which, along with their light weights, make field use and installation easier over using steel components requiring welding or joint bonding. They can also be extremely resistant to corrosive forces, primarily due to the absence of metallic materials and their resistivity to acidic attack. Also, low topography and the reduction of microscopic surface crevices discourage bacterial cellular attachment and biofilm growth. However, they too have some disadvantages. Typically, they are susceptible to extreme temperatures and ultraviolet (UV) light, which can alter their physical properties with continued exposure. But perhaps their biggest downfall is their lower collapse strength, limiting their use in some deep well completions. Di-electric couplers and dissimilar metal adaptors: These devices provide a method of separating the two dissimilar metals and altering the pathway for metal ions to be transferred from the anodic site to the cathodic site, degrading the less noble, anodic metal. Through this blocking-type method, the metal structures of the well are protected from corrosion damage even though the components are present for galvanic type corrosion. Protective coatings: The control of corrosion through the application of coatings is achieved by providing a barrier to separate surfaces (metal) from electrolytes (water). Again, this technology blocks the typical electrochemical corrosion process. Although coatings do provide an effective inhibition to corrosion, they are subject to construction and assembly issues which may gouge or scar the coatings, compromising their effectiveness. Cathodic protection: This is a process of protecting a selected metal component by providing a less noble sacrificial metal to serve as the anode, rendering the selected metal to serve as the cathode and not be degraded by the galvanic corrosion process. Operation schedule: Active wells are less susceptible to fouling and corrosion and require less invasive maintenance, again reducing potential side effects of treatment. and their proximity to the new well. There are also a number of approaches when it comes to monitoring and testing for corrosion. Although these approaches are likely to be investigative and proactive in nature as we are not currently regulated or mandated to do so, they do reflect the need of being better stewards of our assets and extending the operational lifespan of our wells. Prevention of costly downtimes and repairs stemming from corrosion with the use of periodic monitoring makes available testing methods a valuable tool worth considering. Laboratory testing of water samples provides valuable information with regards to corrosion potential in wells. Various testing methods can focus on water chemistry, identification, and quantification of microorganisms contributing to MIC, and the presence of sediment or formation influences capable of causing physical corrosion. Testing methods vary greatly in cost, time, and detail of the information provided. When designing laboratory analyses for a given system, the best approaches are ones assessing the greatest number of potential risks within the time and resources available. Two less extensive but still valuable tools for assessing corrosion risks in water are simply microscopy and coupon studies within jar tests. Much can be gained from examining water or centrifuged samples under the microscope. Formation influences, including silts, sands, and other inorganic particulate matter, can be observed. Also, a number of key bacteria involved in MIC which are generally not culturable on traditional growth media can be easily identified within the scope of the overall bacterial activity in a sample. A prime example of this is Gallionella ferruginea, an iron-oxidizing bacteria, which are easily identified by their double helix-shaped iron oxide-containing stalks they produce but are not able to grow on most nutrient agar plates. A simple and quick way to determine if a water source is corrosive or not can be through the use of coupons submerged within the water from the system. Low carbon steel nails functioning as the coupon offer an easily accessible and cheap way to conduct coupon jar tests, often offering results in a matter of hours. Other tools available for monitoring or testing for corrosion include visual inspection of well components, well video surveys, and a number of online calculators for computing various saturation indexes. Periodic site inspections to ensure all monitoring equipment or associated electrical systems have separate grounding (not the well casing) to limit the introduction of stray currents is also an important consideration. 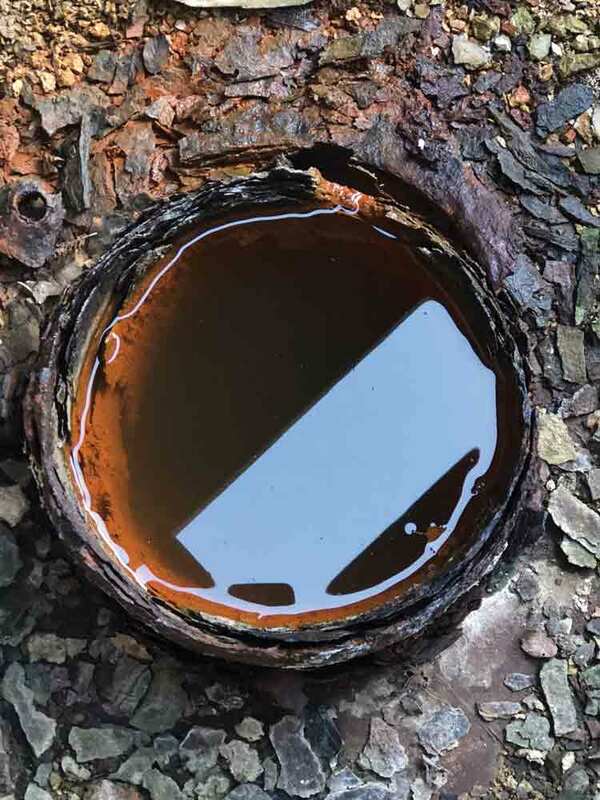 Active corrosion and its costly side effects are a valid concern within water wells across the United States, which sees a high prevalence of corrosive groundwater sources. Corrosion within our wells on an industry level is a complex problem that can’t be addressed overnight and one that isn’t going away soon. Changes are likely called for on multiple levels, including design, construction, monitoring, and maintenance. Technology is ever progressing, and with it we find new and improved materials, products, and testing methods at our disposal to help guard against corrosion. Using the control strategies available offers a proactive approach, which allows for increased public safety, better performance, extended operational lifespan, environmental protection, and long-term cost benefits. Belitz, Kenneth, B.C. Jurgens, and T.D. Johnson. 2016. Potential corrosivity of untreated groundwater in the United States: U.S. Geological Survey Scientific Investigations Report 2016–5092. Koch, Gerhardus H., P.H. Michiel Brongers, Neil G. Thompson, Paul Y. Virmani, and J.H. Payer. 2002. Corrosion costs and preventative strategies in the United States. Miller, Roger, and Eric Duderstadt. 2016. 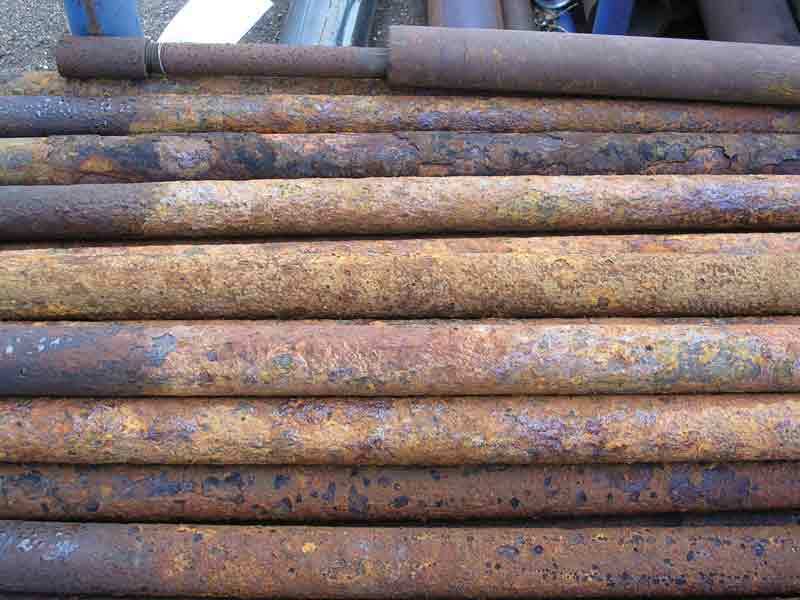 Water Well Corrosion: Types, Effects, Resolution. Presentation. Schnieders, Michael. 2002. Microbial Geography of the Well System. Paper read at Groundwater Summit. National Ground Water Association, Denver, Colorado. 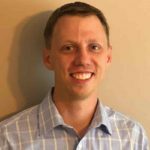 Eric Duderstadt is an environmental biologist with Water Systems Engineering Inc. of Ottawa, Kansas, where he works as a consultant. 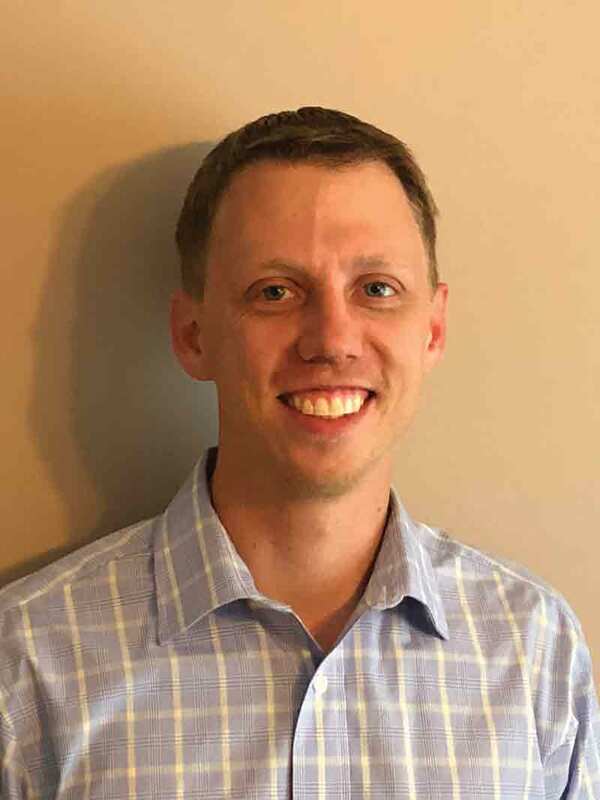 He earned his bachelor’s degree in biology at Ottawa University in 2007 and has since become certified as a corrosion technician within the National Association of Corrosion Engineers. He also works within the firm’s research department and investigative laboratory centering on microbiology and chemistry. Duderstadt can be reached at eduderstadt @h2osystems.com.